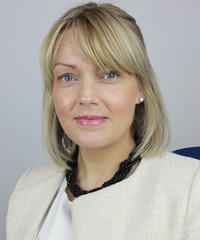 Lynette and her expert team advise and guide clients on all aspects of private client work including Wills, Powers of Attorney, Court of Protection, Inheritance Tax, Trusts, Care Home Fee Planning, Asset Protection, Estate Administration (probate), Estate and Business Succession Planning for individuals and Business clients. Lynette manages our busy Private Client department of 16 fee earners plus support staff making it the largest in North Wales. Lynette has an excellent reputation locally and further afield for delivering expert advice in a clear, friendly, professional manner. Lynette builds strong, professional working relationships with her clients and their families. Lynette is a Trustee of Conwy & Denbighshire Mental Health Advocacy Service (CADMHAS), the Treasurer of Solicitors for the Elderly (SFE) – North Wales Branch and a member of the Country Land Owners Association.